Is it possible to update the xperia x8 into the android version 2.2 and 2.3?? miki, 10 Sep 2011SE Companion is pretty useless. the firmware update available from sony for this fone is only ... moreReally but why? d minor problm i hv in my x8 is dt earlier videos on youtube played continously. bt now it stops aftr 10-15sec to buffer. can i know d reason y its stopping in between. pl help. d problm in my x8 is dt earlier d video on youtube played continuously wid out stoppin in between to buffer. bt now it stops aftr 10-15 sec to buffer. can u someone tell wt to do? can our x8 use broadband sim card? ive been try but cant connect to browsing internet (sound like no permission) xcept facebook & market. anyone can help??? Tausif, 11 Sep 2011I am using grameenphone. But i can not send SMS from this set. i have seen in web but this pro... morei had the same problem..! 1.Don't fill your phone memory(not the memory card) keep a free space atleast 30MB. 2. Don't kill the SMS(message) using task killer or juice defender. I am using grameenphone. But i can not send SMS from this set. i have seen in web but this problem is preety often in this set. SE Companion is pretty useless. 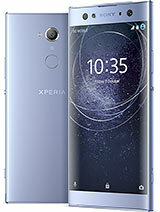 the firmware update available from sony for this fone is only android 2.1.1 so no 2.2 available. its most annoying thing with this phone is that you cannot install apps on the memory card only on the fone's memory which is limited. I'm trying to upgrade to 2.2 android but failed using Z4root so anyone got any idea please help. its a nice little fone a bit flimsy though only bought its as its the cheapest of its class. this is a good phone, i have black x8! so cute, fast, n good speaker for music. problem are no zoom n setting in camera n no official upgrade to 2,2! come on! gimme a break! i've got black x8! cute phone, fast processor, goodspeaker for music, but but my problem is the camera no zoom, no setting n no official upgrade to 2,2? come on! gimme break! Darshil, 09 Sep 2011Can anyone tell me that android 2.3 is available on this cell and what about camera?should i b... moreThe official upgrade is 2.1.1 , but on rooted x8 you can use Android 2.3.5 with custom ROMs. Which one is the best phone between X8 and Galaxy pop.